Join Allan for "a special journey through life and dreams with a natural flow that feels guided by spirit." "This work of poetry new age/self help is an amazing and inspiring read from start to finish. 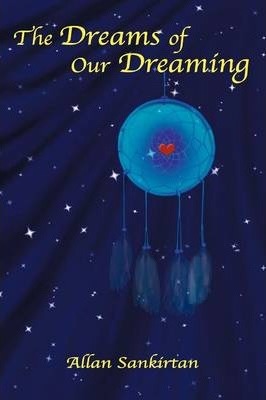 The work takes the reader on a special journey through life and dreams with a natural flow that feels guided by spirit. The poems cover a wide range of issues from relationships, soul mates, and nature to the power of choice, time and lessons to name just a few. The poems are deep and meaningful and would appeal to all ages and cultures; which is unique in this genre. "The Dreams of Our Dreaming is a highly accomplished work." "The blurb promised me a 'special journey through life and dreams with a natural flow that feels guided by spirit'. The book delivered on the promise with beautiful poems and a feeling of serenity throughout my reading. The focus is on the concept that we are all one and the same with many writings (poems and essays) weaving together subjects such as relationships, soul mates, nature, the power of choice, time and soul lessons. This book will appeal to those of any culture and age, particularly those contemplating new age concepts and opening to a spiritual awareness."